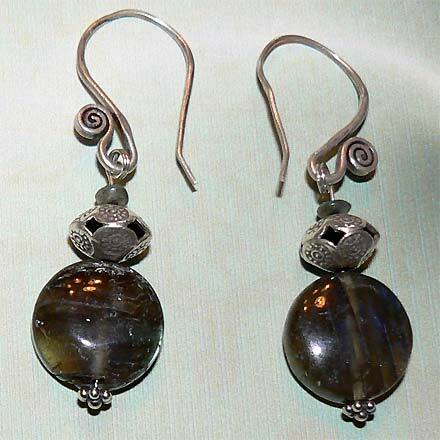 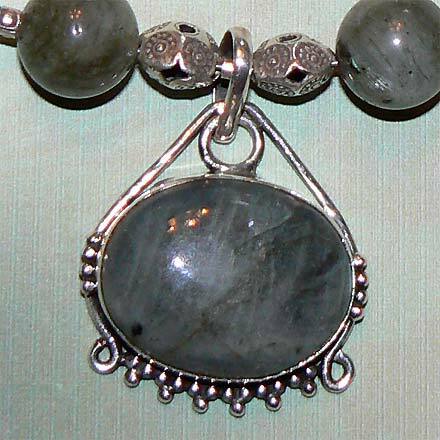 The pendant has some nice gold and green flashes, and is a most unusual "light" Labradorite color. 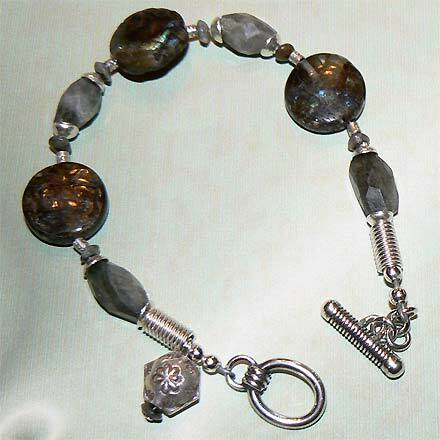 The beads have wonderful surprises of almost the entire color spectrum. 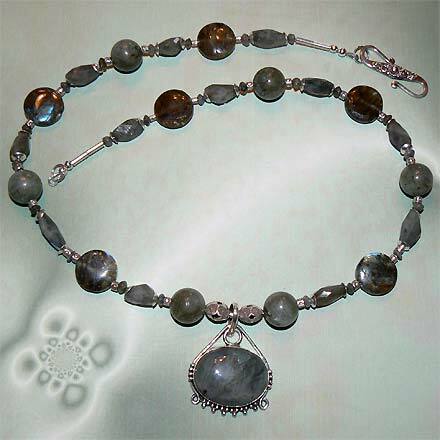 Labradorite (and all stones with color play) is very difficult to photograph to show of all the prisms and color changes, so although it doesn't look that exciting in the photographs, it is much better in person.